DHL Global Forwarding is the international market leader in the air and ocean freight business. We combine air, ocean, ground transportation and customs brokerage services with dedicated warehousing and distribution centers. LOGIS®, DHL Global Forwarding’s award-winning Logistics Information System, completes the infrastructure to deliver first class global logistics services with complementary information. 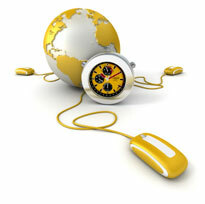 Click here for more information on DHL Global Forwarding. National Customs Brokers and Forwarders Association of America Inc.